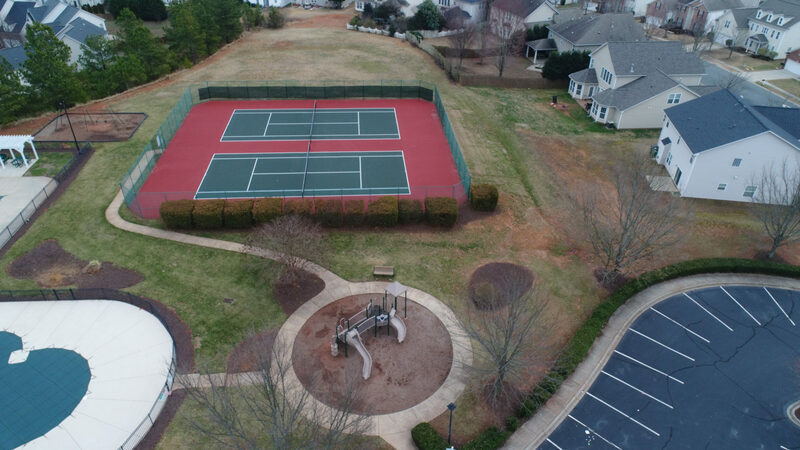 3010 Caldwell Ridge Parkway is located in the Old Stone Crossing community and specifically in The Townes at Old Stone Crossing section, which is conveniently located close to shopping, dining options, 485, Concord Mills & UNC Charlotte. Old Stone Crossing is a gorgeous community with over 40 acres of common area providing the country feel with city amenities. Convenient to everything making this home and location a win-win! This home’s floor plan lends itself to easy entertaining, as well as, comfortable everyday living. The inviting front porch greets guests before they walk into your home. As soon as you enter you have that “I’m home” feeling. Prepare to be impressed with the overall clean and fresh appearance throughout this home. Gorgeous laminate floors flow throughout most of the home making cleaning an absolute breeze! Spacious great room with corner fireplace, vaulted ceilings and windows for great natural light! Great flow in the kitchen with plenty of counter and cabinet space! 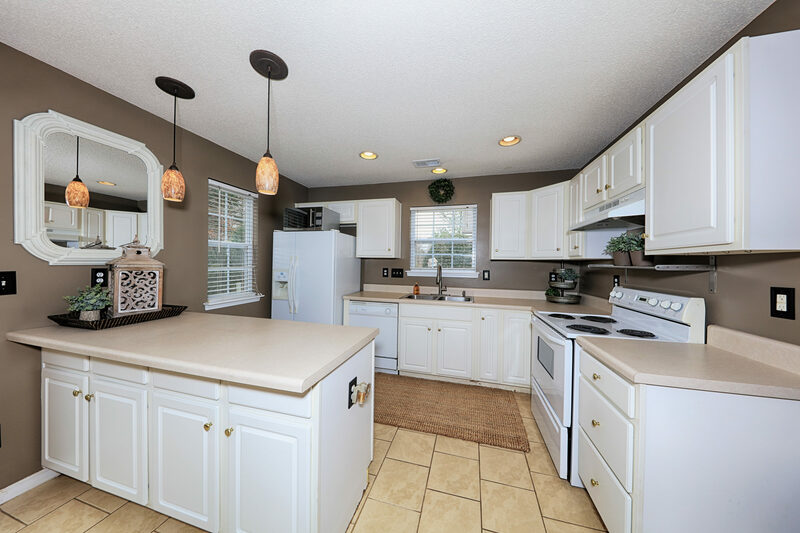 Crisp white cabinets, tile flooring, recessed & pendant lighting, large island/breakfast bar. Kitchen opens to eat-in breakfast nook and sliding doors to the rear yard space. This backyard will not disappoint! Extended patio with stone landscaping and storage closet. Flat yard space backs to private woods with view of pond/lake. 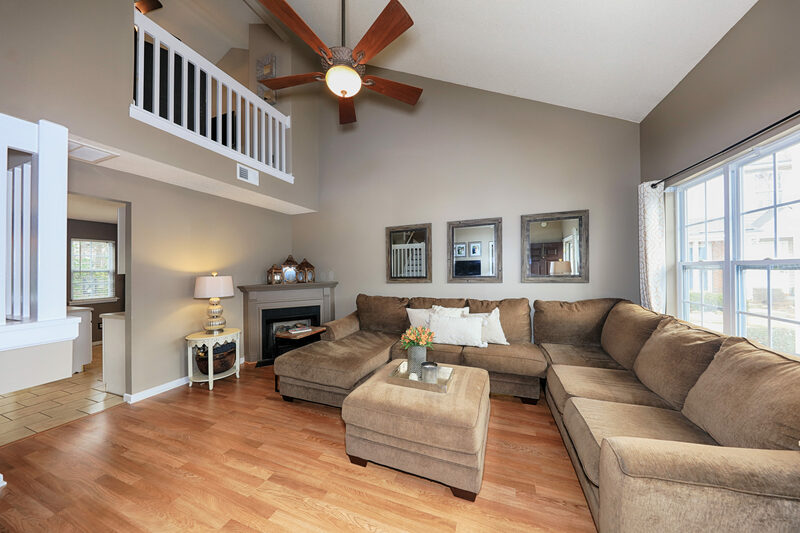 Lovely, main floor owner’s retreat with laminate wood flooring is truly a tranquil place to end your day! Ensuite bath with dual vanities and direct access to the laundry room. 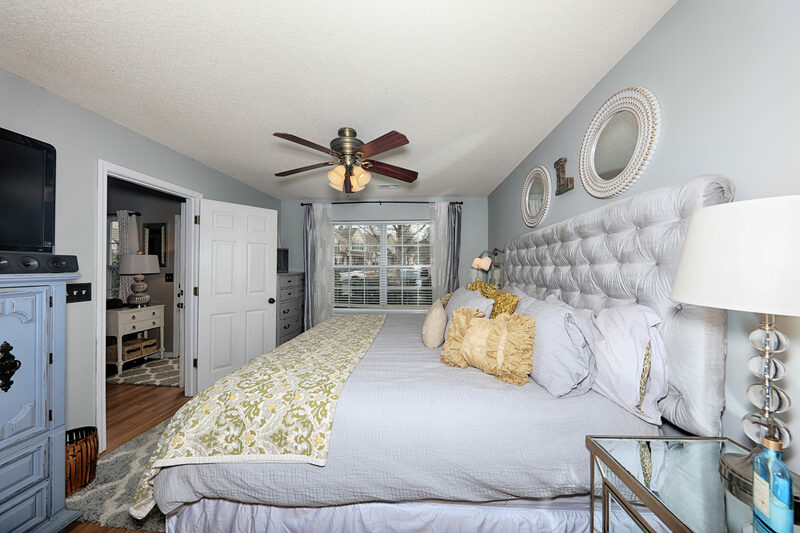 Upstairs you’ll also find 2 additional bedrooms, a shared bath and linen closets for storage. The second bedroom/loft has a HUGE walk-in closet. Being an end unit gives additional windows for light and privacy for rear yard space! 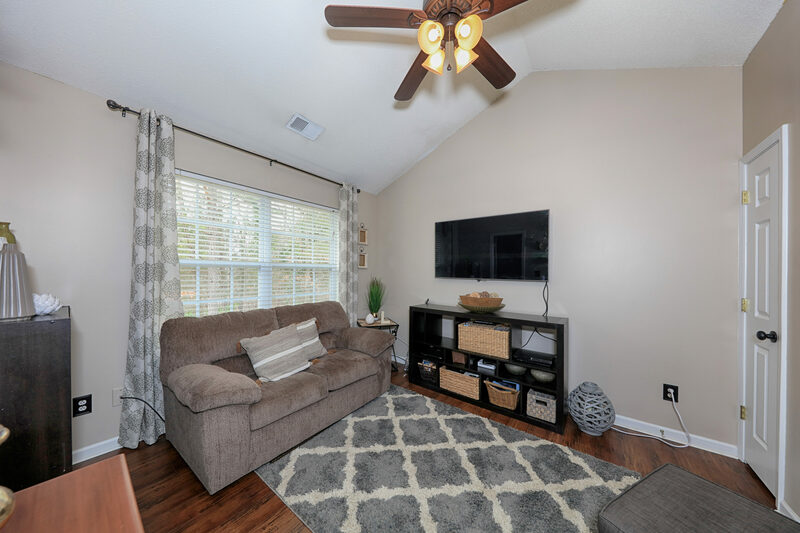 This lovely townhome is ready for you to move right in and begin enjoying...Welcome home! 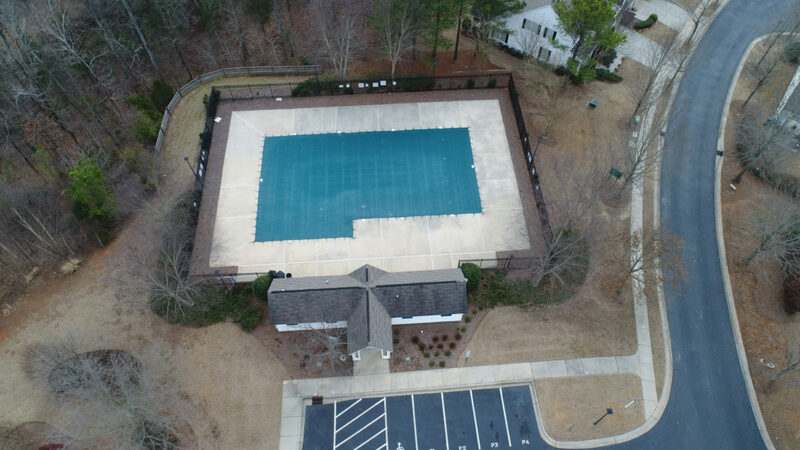 Aerial shots of the neighborhood amenities including a pool, playground and tennis courts.